I picked up a Soviet-made Tair-3 300mm lens at a flea market recently, and I'm at a loss to identify what kind of mount it uses. According to what I've read, most virtually all Tair-3s used M42 or T mounts, but this clearly isn't either of those. The black bit with the orange dot on it rotates freely through about 90 degrees. I'm fairly certain it's an adapter, but I can't seem to get it to unscrew to find out for sure. Apologies for the poor image quality - my phone camera's autofocus is utter garbage and I'm in a situation where I don't have a great deal of light available. What is the exact model of your particular Tair-3 lens? There were several modifications of the lens which were made by at least three different factories. Some lens versions had m39 or m42 mounts, some versions (Tair-3A) had an A-type rear mount adaptable to either m39, m42 or Nikon-F via original interchangeable rings, and some were made specifically for use on television. Unfortunately, it's impossible to tell which one you have without more information and more detailed and better quality photos. 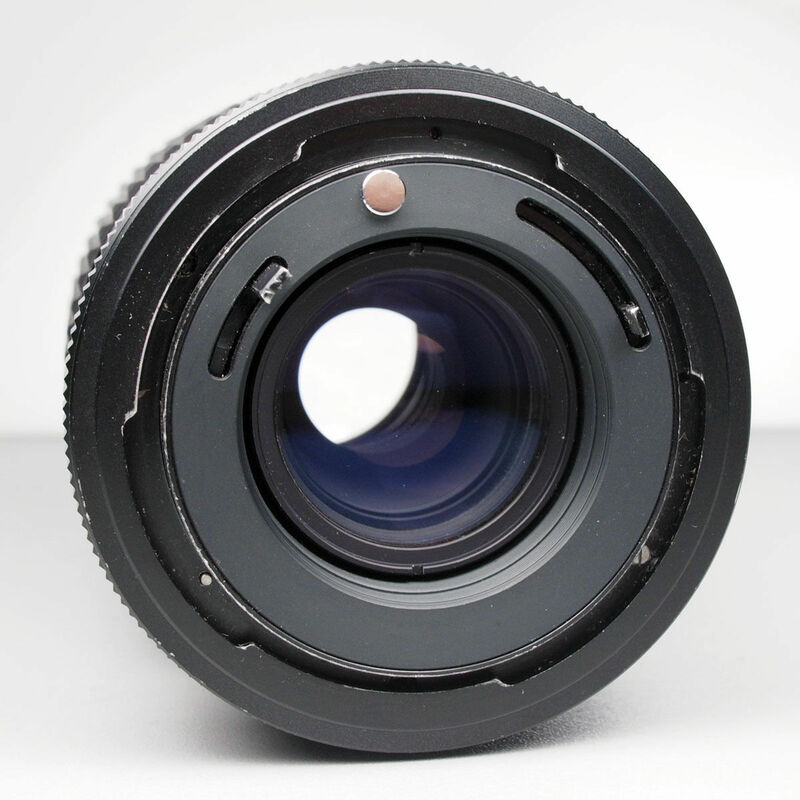 There is also always a possibility that the lens was custom modified to have an entirely different mount. The outer breech lock ring looks like it fits a breech lock Canon FD mount or maybe the even older FL, but the inner part containing the control linkage for the aperture is missing. Is there even an aperture diaphragm inside the lens barrel? It might also be adapted for non-automatic use on an FD or FL mount camera. The camera would have no connection to the aperture in the lens. In such a case stop down metering would need to be used. Not the answer you're looking for? Browse other questions tagged lens-mount old-lenses equipment-identification breech-mount or ask your own question. 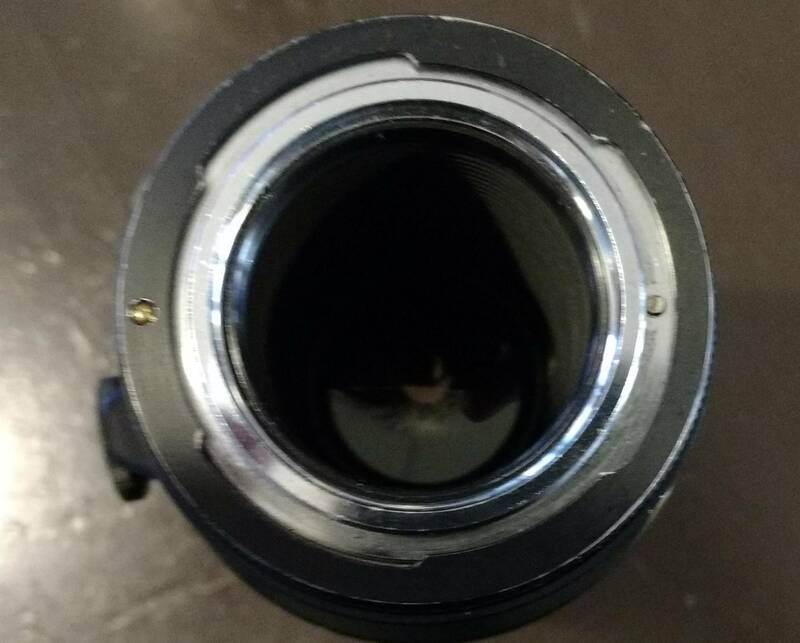 What kind of mount does this Chinon 70-210mm AF Zoon lens have?